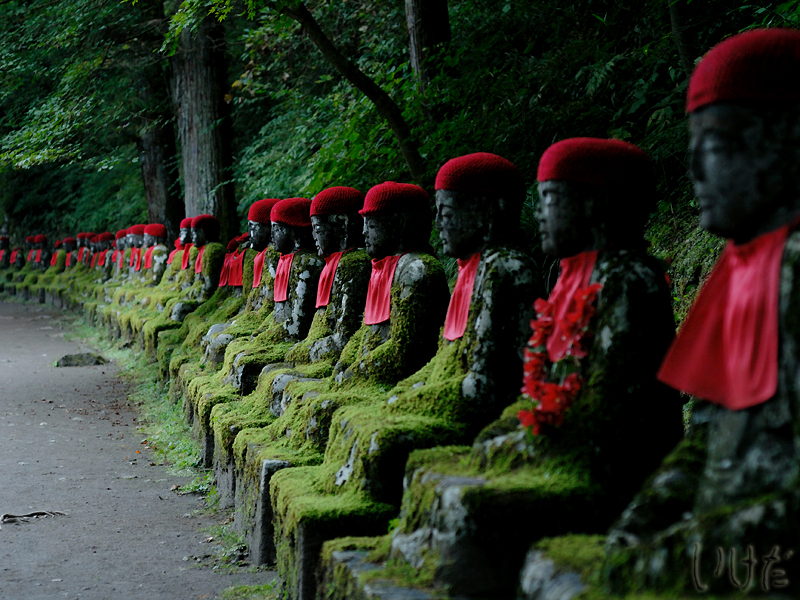 Love the line of stone Buddha's in this photo! The red in contrast to the green is wonderful! Your photos are all very lovely...each one has such vibrant colors and clarity...wonderful! I will add you to my blog list!!! These colors are so rich! Are they wearing bibs because they just finished eating their dinner? A lovely place, nicely photographed. Nikko is a very "dangerous" place - every time we go there, we want to buy a house there immediately. And actually, there is a lot for sale very nearby those Buddhas. LOL!